Home Care Services:Even if there is nothing else in the world you would rather do than to be at your parent’s side and providing them with the care they deserve, it can be a challenge sometimes. We have our own families, we have work, responsibilities, and this can take away the amount of time we can spend taking care of our parents. However, through the help of home health care in Metro Vancouver, we can provide one on one personal care for your parents. Your parents are in good hands when you cannot be there. Respite Care:If you are able to give all of your time taking care of your parents, this can be great! However, this is a full-time job that requires your utmost dedication if your parents are going to be receiving the best care possible. If you are the only one watching over them, it can take a toll on you both physically and mentally. When you are feeling too exhausted or if you feel like you cannot maintain the best quality of care that you can provide, our respite care is for you. We will give you the chance to rest, while your parents enjoy the professional and compassionate care that our caregivers can provide in the comfort of their own home. Be there for your parents to ensure that they are getting the care and the love they deserve. 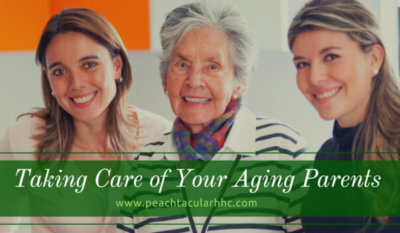 Through our website at www.peachtacularhhc.com, you can find out more about providing your parents the best care possible! Also, if you have any questions that you would like to ask Peachtacular Home Health Care, you can reach us anytime at 778-859-2695. Allow us to help you provide the care your parents deserve today. This entry was posted in Healthcare, Home Health Care, Homecare, Senior Care. Bookmark the permalink.